The Linear7 High Definition digital music interface contains audio coding and decoding software that can process 24Bit/192KHz high bit rate digital master tape audio streams at very high speeds and supports the decoding output of all types of digital audio formats, such as (WAV/FLAC/AIFF). 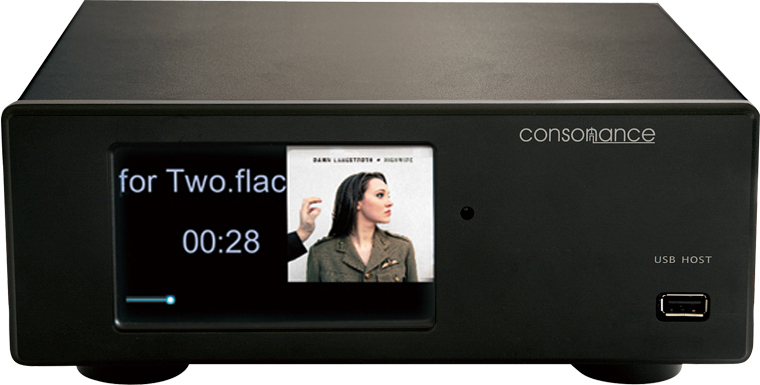 In the future, through firmware upgrading, the device will support even more audio formats. The linear7 adopts the specialized 32-bit high-performance embedded multi-media processor CPU, multimedia DSP chip solution and the reference clock system of the industrial-class digital phase-locked loop (DPLL) system, effectively reducing clock jitter in transmission of digital audio signals so as to achieve an ultra-low jitter index. The Linear7 has an LCD display with a touch screen allowing the user simple operation. The screen can display the artist's name/internet radio station information and the sampling rate. It also includes an easy to use high quality fully functioning remote control. The D-linear7 support control by computer and Google Android smartphone or flat computer etc. D-linear7 will support control by ipad/iphone/ipod touch in the future.